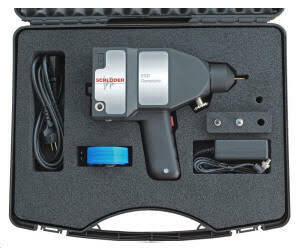 Schlöder GmbH develops and manufactures EMC test equipment since 29 years. In addition to the ESD test systems, EFT/Burst generators Combined Wave generators, Voltage Dips, Interrupts and Variations simulators, Conducted RF Generators and Magnetic field generators. 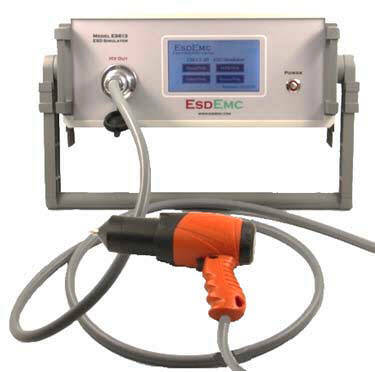 ESDEMC Technology LLC provides many test and measurement solutions for electrostatic control, electrostatic discharge testing (ESD), electromagnetic compatibility (EMC) testing, high voltage supply modules and systems, and wideband high voltage measurement. We also design and supply RF amplifiers and filters. 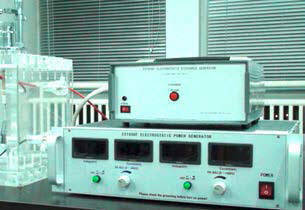 The test generator SESD 2910 was developed especially "for Proof Immunity to Disturbance of Electro Explosive Devices (EED) toward Pulses of Electrostatic Discharge“. The SESD 2910 simulates electrostatic discharge as defined in the EN 13763-13, March 2004 and the military standard VG 95378-11, May 1997. ♦ Safety circuit Output for safety switch and warning lamps red /green. The high voltage is discharged internal within 50 ms, in case the safety circuit is interrupt. ES613 ESD Simulator is advanced ESD simulator designed with robust hardware and many added test features and configurations. It satisfies the requirements for both IEC6100-4-2:2008 and ISO10605:2008 (ES613-20 up to ±20 or ES613-30 up ±30 kV). EST806 Series Electrostatic Firing/ Igniter /Spark Sensitivity test systems are designed for military electrostatic discharge test standards (MIL STD 1512, 1576 (Method 2205), 1751A, (Methods 1031, 1032 & 1033), 331C. 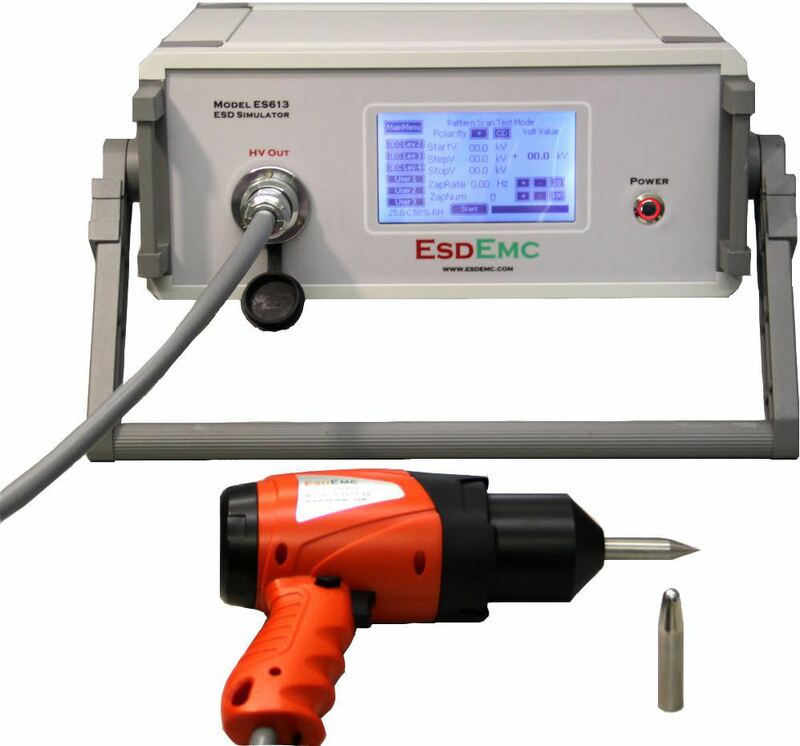 It contains several test setups and configurations to determine personnel borne ESD (0 to ±30kV), helicopter borne ESD (0 to ±300kV), and test the ESD susceptibility of pyrotechnic devices, powders and liquids (0 to ±50kV). • LED display, high resolution. • Current output up to 1000 µA. 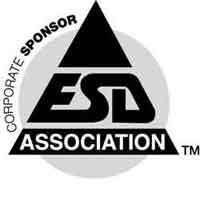 • ESD testing of electro-explosive devices (EED), fuses, electric detonators, explosives, etc. • Drain voltage: <0.5% charging voltage when the high-pressure switch is on.